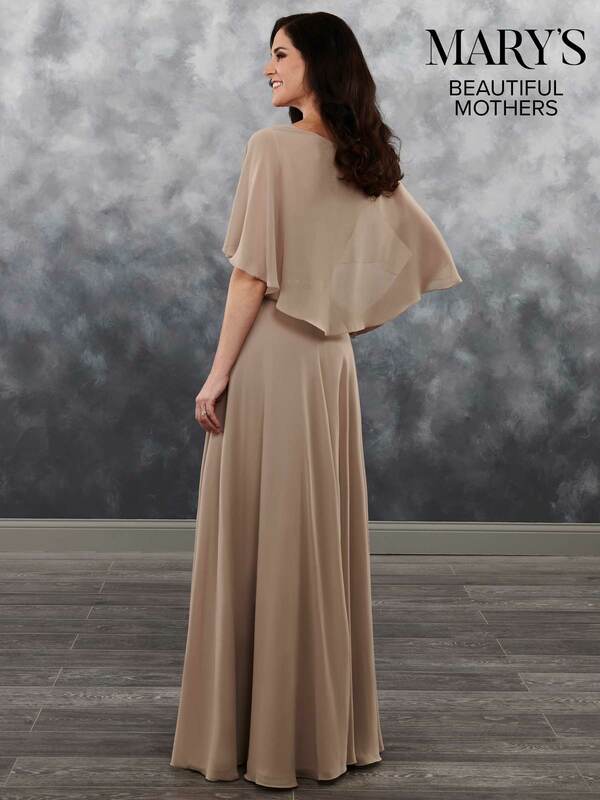 Description: Chiffon A-line mother of the bride dress features V-neck pleated cape bodice with beaded belt. Color: Shown in Mocha. Available in 18 colors.